Our reputation has been built by our experience, integrity, and commitment to customer service. We are proud of our staff in local offices throughout Kansas and Missouri. From these same locations, we also provide solutions for your title and closing needs when your real estate is located anywhere in the United States. Our experienced staff stand committed to providing you with the absolute best customer service. We believe in supporting local communities and proudly "give back" in every market we service. At Security 1st Title, our values run deep and are generations strong. Our team works together to find the real estate solutions you need in a timely manner. Our investments in technology help us achieve your turntime requirements and secure your information from unauthorized access. ALTA seeks to guide its membership on best practices to protect consumers, promote quality service, provide for ongoing employee training, and meet legal and market requirements. These practices are voluntary and designed to help ALTA members illustrate to consumers and clients the industry’s professionalism and best practices to ensure a positive and compliant real estate settlement experience. These best practices are not intended to encompass all aspects of title or settlement company activity. ALTA has published these best practices as a benchmark for the mortgage lending and real estate settlement industry. 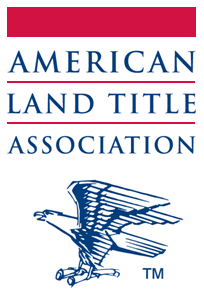 Establish and maintain current licenses as required to conduct the business of title insurance and settlement services. Adopt and maintain appropriate written procedures and controls for Escrow Trust Accounts allowing for electronic verification of reconciliation. Adopt and maintain a written privacy and information security plan to protect Non-public Personal Information as required by local, state and federal law. Adopt standard real estate settlement procedures and policies that ensure compliance with Federal and State Consumer Financial Laws as applicable. Adopt and maintain written procedures related to title policy production, delivery, reporting and premium remittance. Adopt and maintain procedures for resolving consumer complaints. Visit the ALTA website for more information.